After several days of intense international discussion about its new policy against working remotely, Yahoo is trying to distance itself from the controversy. Yahoo issued its new ban on remote work last week. The company’s goal, which many insiders support, was to foster more camaraderie, intensity, and creativity from physical interaction while also eliminating some workers who had effectively retired on the job. The ban understandably caused some grumbling from Yahoos who had joined the company precisely because they were allowed to work remotely. And then it spawned a world-wide debate in which everyone from Richard Branson to mummy bloggers weighed in. 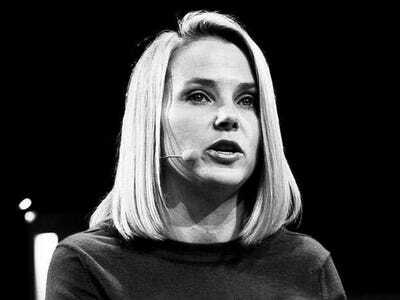 Outside Yahoo, most observers felt that CEO Marissa Mayer’s decision had set back the cause of flexible work policies and work-life balance, especially for women. Inside Yahoo, meanwhile, many applauded the move. If Yahoo is to get its mojo back, these folks argued, it needs a renewed sense of commitment from everyone on the team. In any event, now, several days later, Yahoo has weighed in on the remote-work ban again, presumably seeking to dampen the criticism it has received. But, to her credit, Yahoo’s new CEO, Marissa Mayer, is not backing down. If nothing else, the controversy once again demonstrates Mayer’s leadership abilities. For the past decade, Yahoo has been in desperate need of a CEO who is willing to set a high bar and make the tough, unpopular decisions necessary to whip the company back into shape. In her short tenure at Yahoo, Mayer has demonstrated that she is more than capable of doing that. Disclosure: I work for Yahoo, as a part-time host of a Yahoo Finance show called Daily Ticker. I like working for Yahoo, and I would prefer to keep working for Yahoo, so if I felt like grumbling about a decision Yahoo made, I probably wouldn’t do it here. I am also a Yahoo shareholder (a relic of my Internet exuberance in the late 1990s).